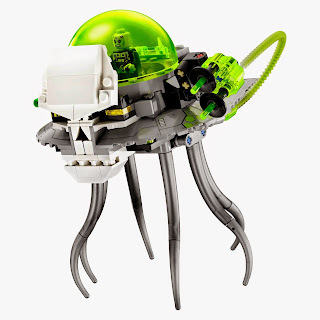 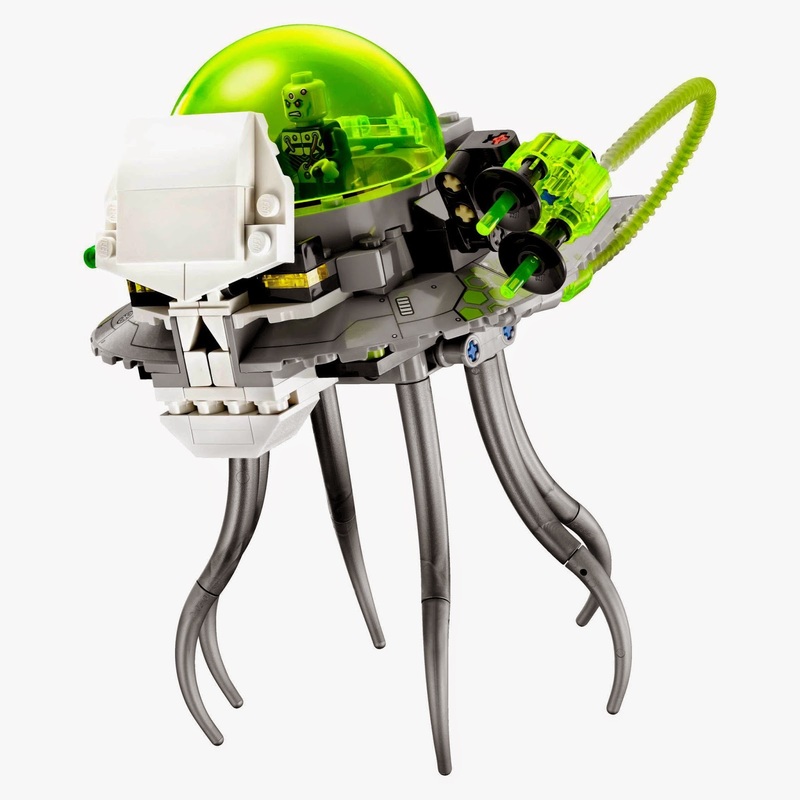 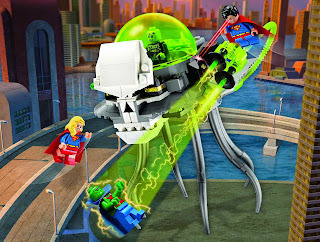 come with a brainiac skull ship. 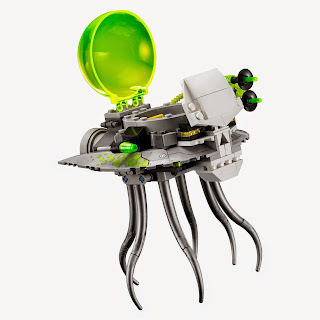 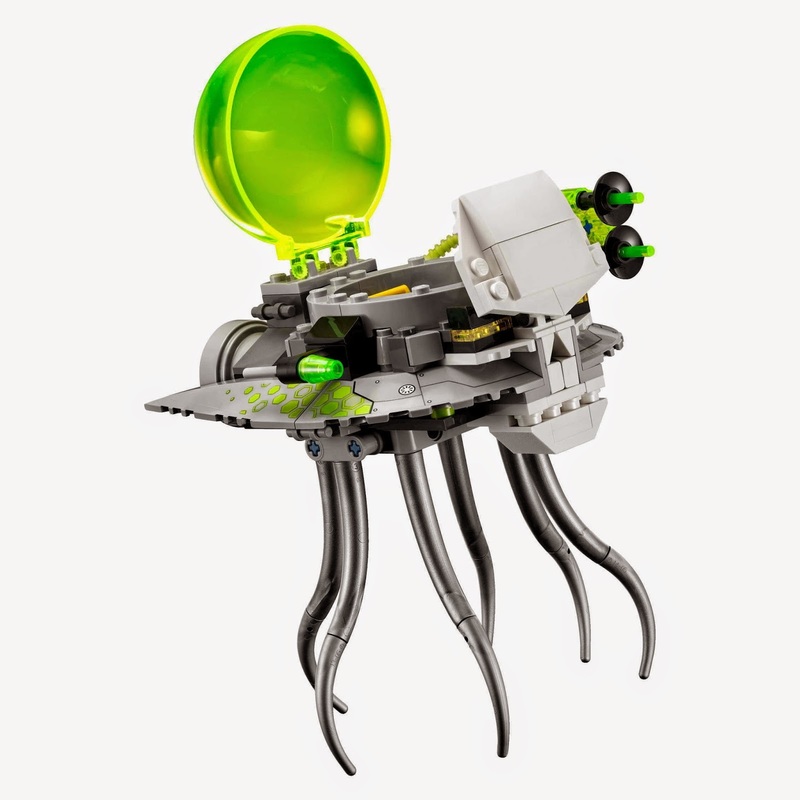 the ship has an openable cockpit, a cannon, a flick missile, a rocket booster exhaust and alien tentacles. 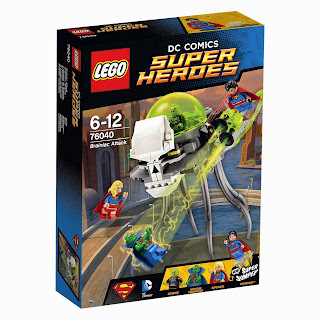 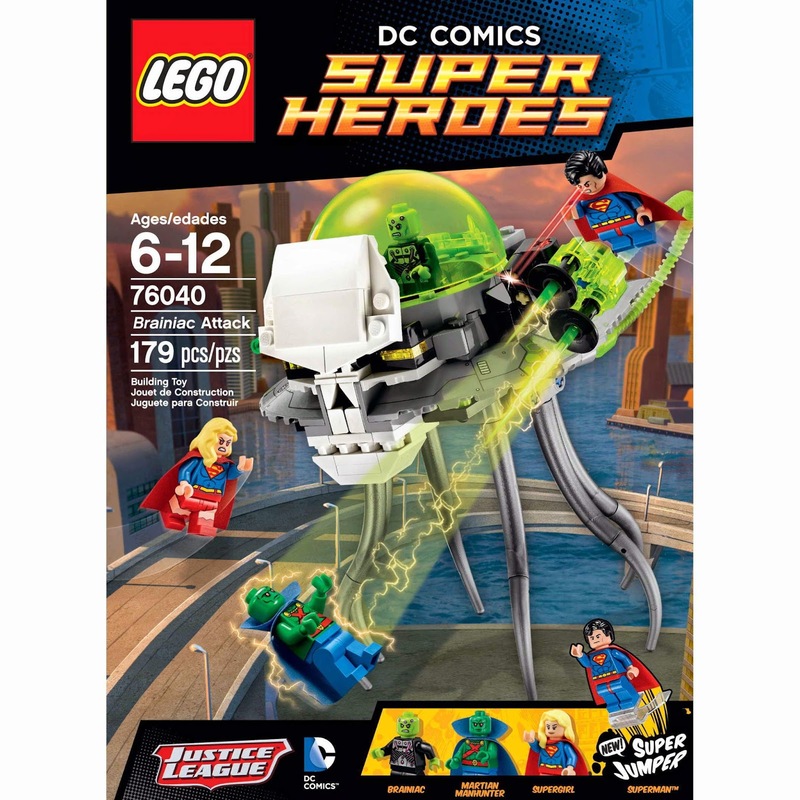 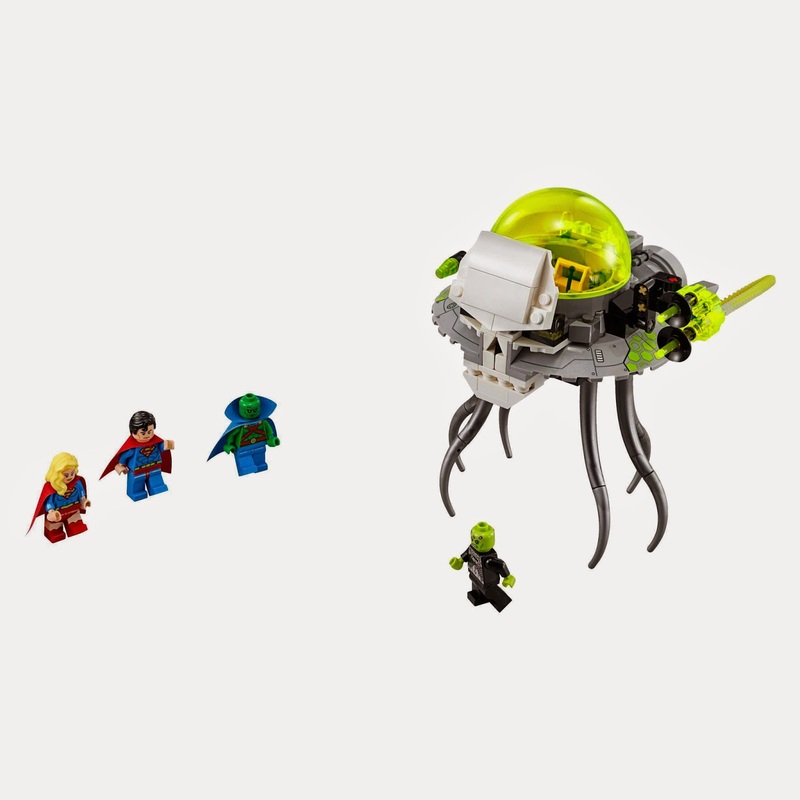 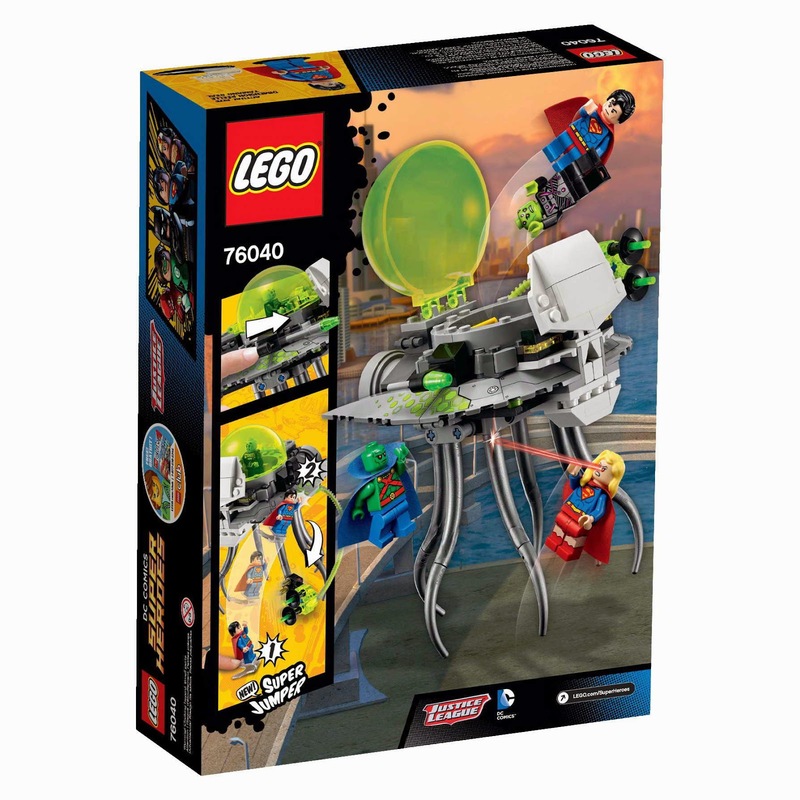 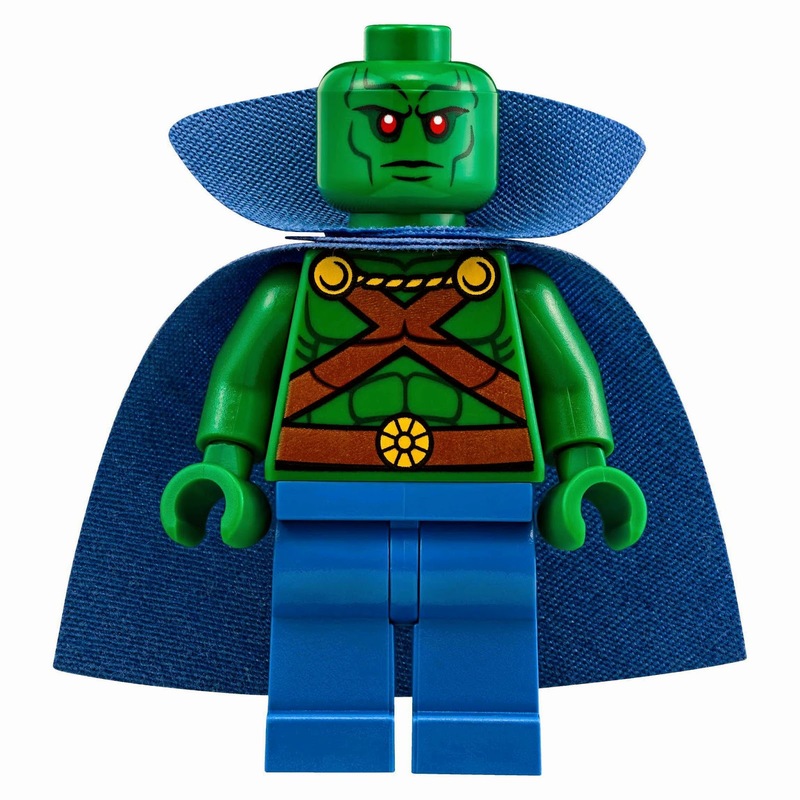 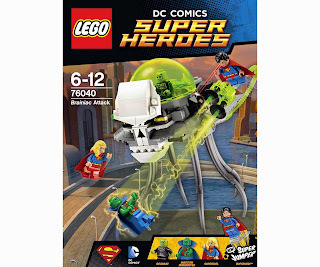 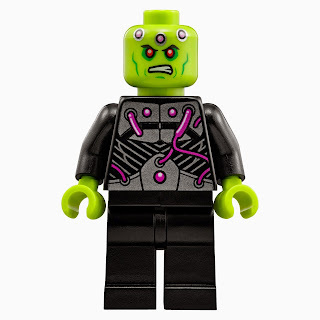 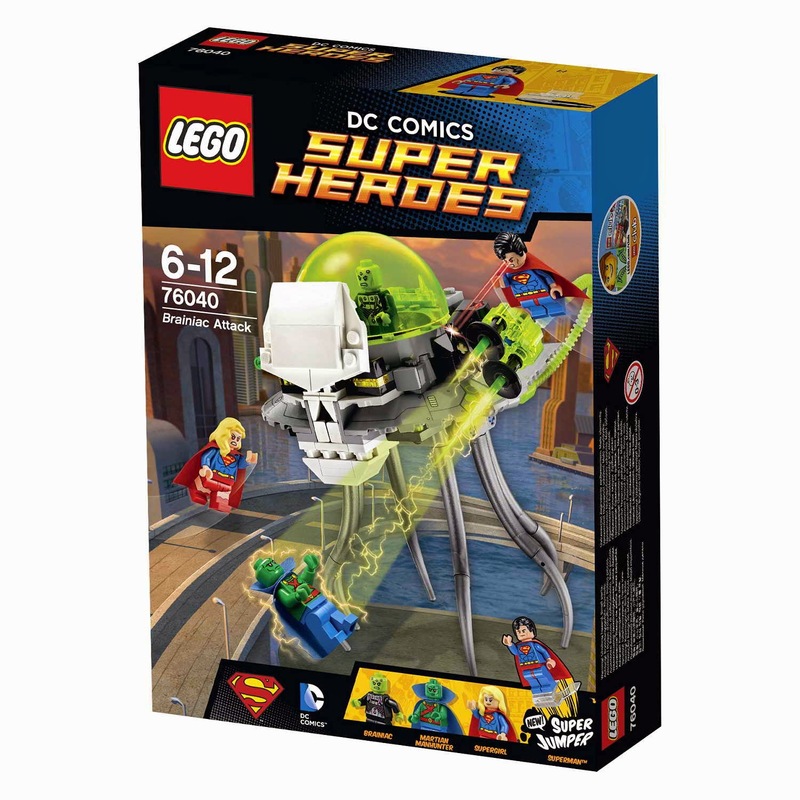 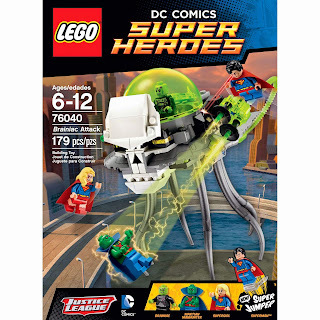 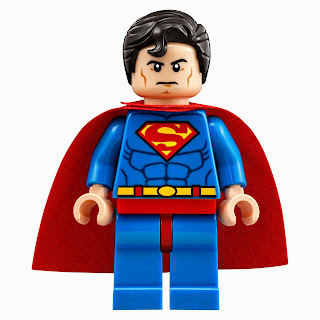 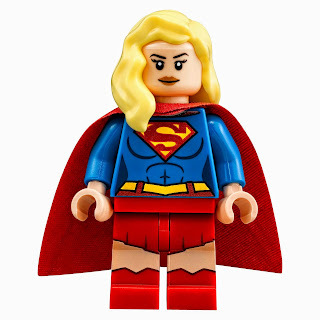 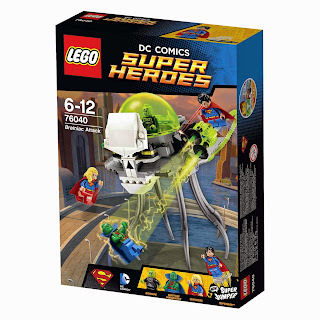 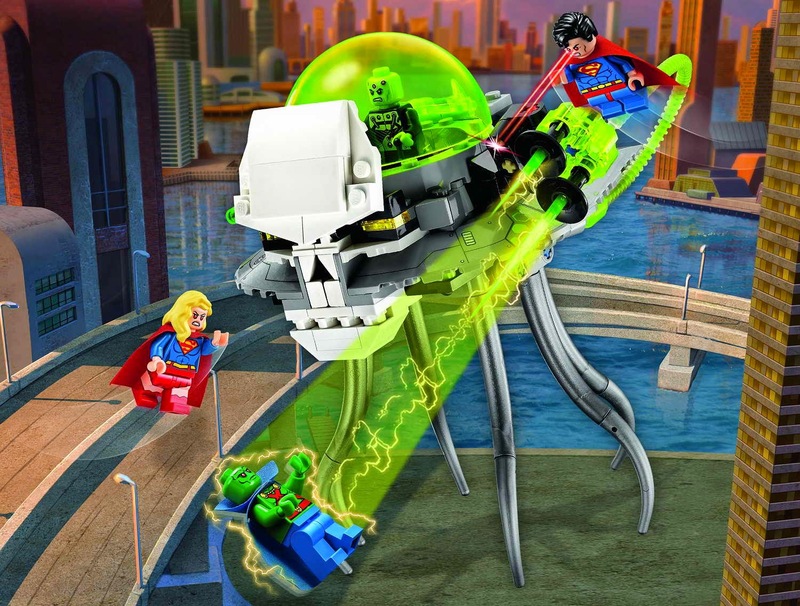 minifigs included a brainiac minifig, a superman minifig, a supergirl minifig and a martian manhunter minifig.